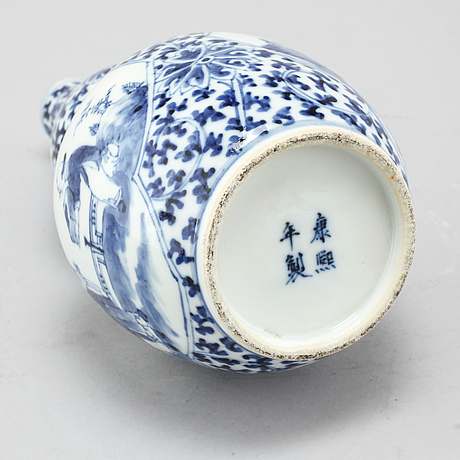 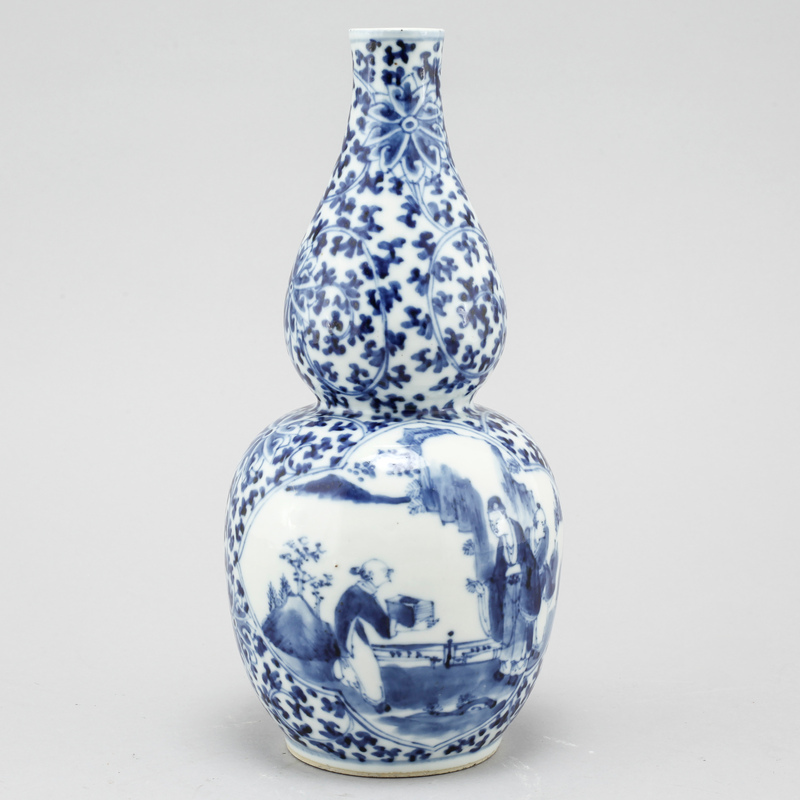 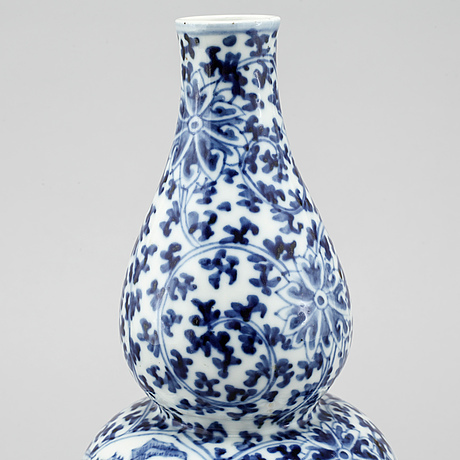 A porcelain vase from China, first half of the 20th century. 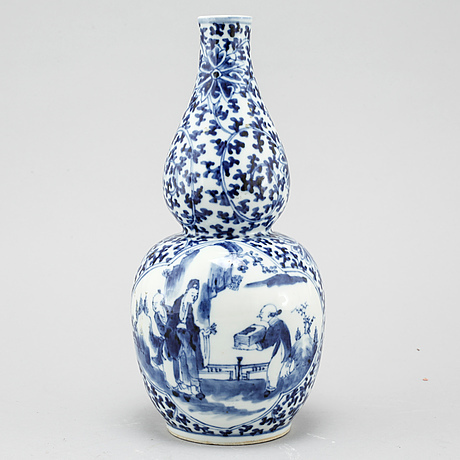 Blue and white with figures. 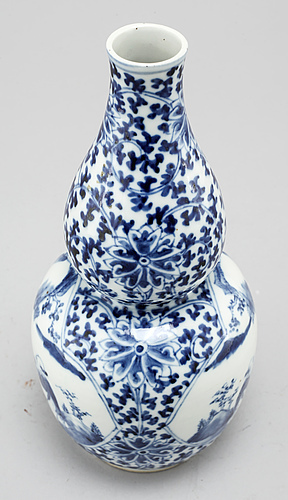 Hight 26 cm.